Call Us Today for a Free Quote on Wrecker Service! 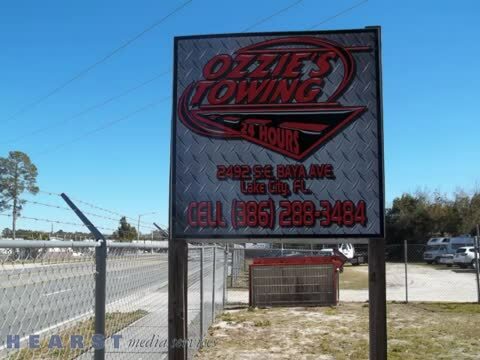 Serving the Lake City, FL area since 2005, Ozzie's Towing & Auto has become the area's best towing service with 24-hour roadside assistance, auto lockouts, and lockout service. Owner Larry Ostendorf personally assures that each customer is treated with courtesy and offers the best rates and customer service in the business. Breaking down on the highway is never a pleasant experience. It's not only an inconvenience, but it's dangerous as well. Don't risk your safety or the safety of family and loved ones when it isn't necessary. Larry and his team are ready to answer your call no matter what time of day or night. Don't take a chance, call Ozzie's Towing & Auto and be safe and secure within their quality and friendly service. 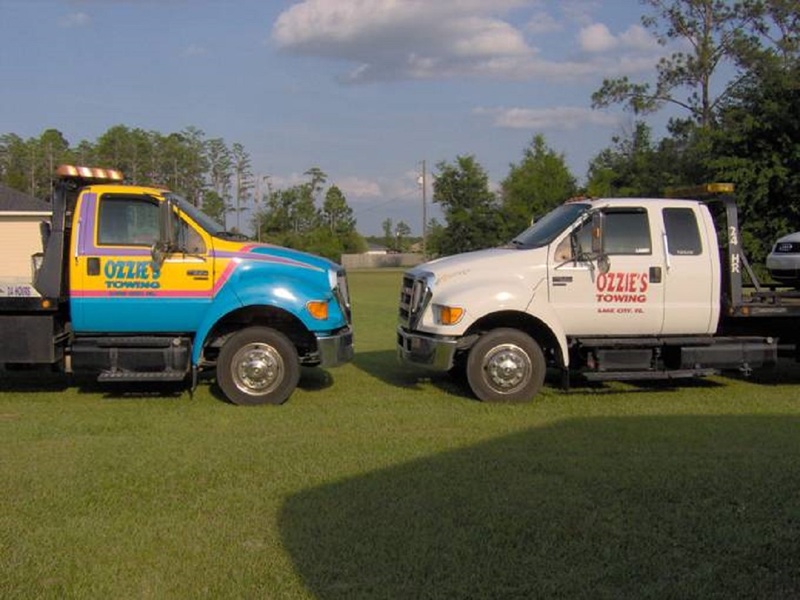 Ozzie's provides many tow truck services and other services such as 24-hour roadside assistance, lockout service, long distance towing, truck towing, wrecker service, and motorcycle towing, changing flat tires, overheating solutions and even helps when you run out of gas. They even do minor repairs and will jump start your vehicle to get you rolling again. We Provide Quality 24-Hour Roadside Assistance and Lockout Services! Does your vehicle need towing service? Ozzie's uses state of the art flatbed trucks for auto towing, truck towing, and motorcycle towing that uses a special low profile loader. 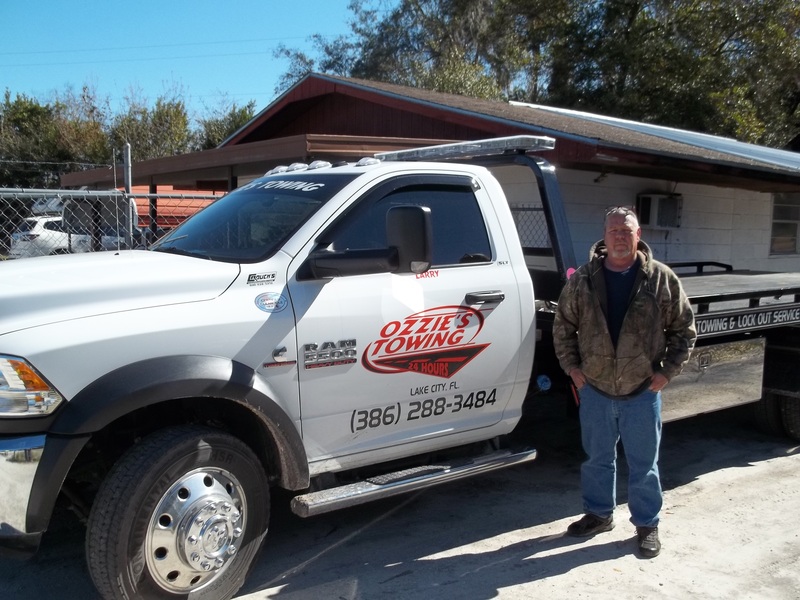 Whether you are on the I-75, in town, or on a backcountry road, Ozzie's 24 hour towing is ready to serve you. We’re also here to help you with auto lockouts. Getting locked out of your vehicle is a hassle. That’s why we’re standing by to get you back in again as quickly and as easily as possible. We regularly assist customers who are dealing with auto lockouts all over the Lake City, FL area. We’ll get to you as soon as possible and do everything we can to get you back into your vehicle and on your way again. We understand how inconvenient and stressful it would be for anyone to get locked out of their car. You can rely on our team of experts for a fast and immediate response with our lockout services. 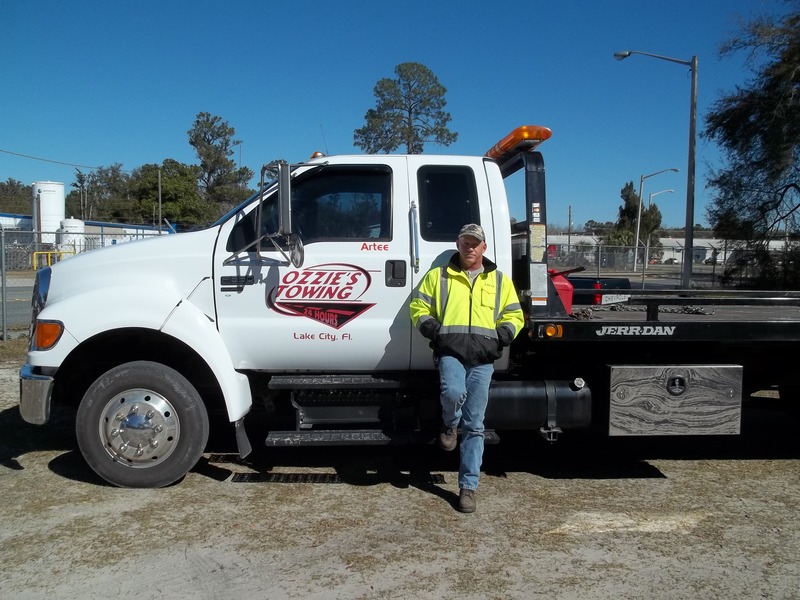 We serve customers in Lake City, FL with prompt towing services, lockout services, and more. We go above and beyond to help our customers with roadside emergencies. With all our services reasonably priced, make sure you reach out to our team today. Sometimes problems can be serious and may require a major repair. Not to worry, Ozzie's has built relationships with more than 18 quality auto repair shops in the area, with many ready to work at any hour. That's why Ozzie's means 24 hour service. Travelers seldom have choices when they have vehicle problems, but be assured, Ozzie's Towing & Auto is the one to choose. 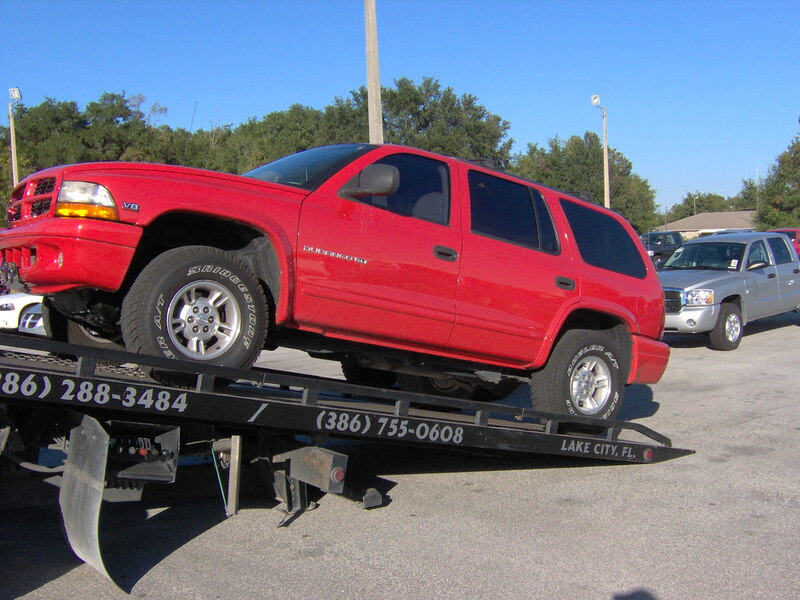 They provide emergency roadside assistance for all types of personal vehicles including cars, light trucks, high centered vehicles, and motorcycles in Lake City, FL. It isn't the easiest call to make when you are stranded, so make it the best call you can make. For emergency roadside assistance, auto lockouts, wrecker service or tow truck services, call anytime!